Custom-designed for MJ in 1984 by designer Bill Whitten. 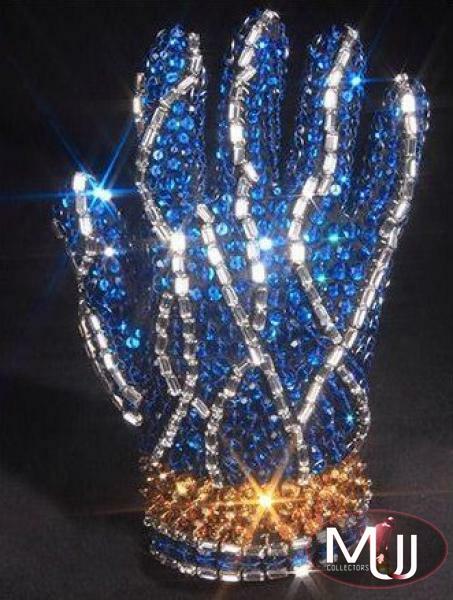 Right handed glove covered in blue and gold Swarovski loch rosen crystals and rhinestones along the back of the glove. 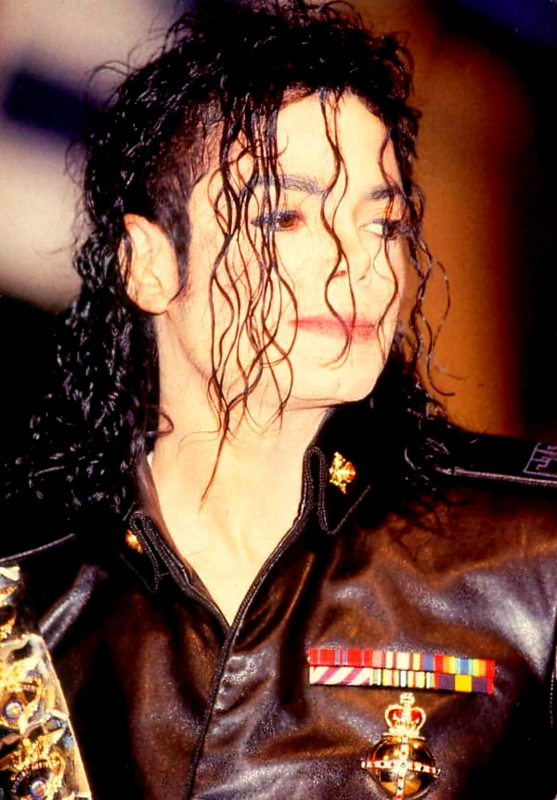 The "Fantasy Gloves" were originally intended to take Michaels single glove concept to a new level before he settled on the now iconic single "white" glove. Jackson eventually had a custom plexiglas display case created to display his set of eight "Fantasy Gloves" at Neverland Valley Ranch. This glove (Lot #354) sold for $126,000 at Julien's 2009 Music Icons auction.